1. Take clear photographs of all of the damaged area, both up close and of the full monument. 2. Find your original purchase contract to reference. 3. Contact us to request a Memorial Damage Claim Form to complete. Below is a link which will take you to an example of the Memorial Damage Claim Form. 5. Contact us to verify that we have received the form and photographs no earlier then 24 hours after you have emailed and 7 days after you have mailed the form and photographs. 6. Allow us 30 days to review the claim form and photographs. Order Your Laser Etching Highlight Online! Ever since writing the blog about how to add the highlight to a laser etched monument that is beginning to fade, ( https://sartinmemorialsblog.com/2014/06/16/question-of-the-week-why-is-the-laser-etched-image-on-my-monument-fading/ ) I have received several emails and messages asking where to purchase the Speedball Oil Based Block Printing Ink that we use on our monuments. I have located a very inexpensive online retailer who will ship to anywhere in the U.S. and Canada. The following link will take you directly to the page from which you can order 1.25 oz of the white ink for only $3.98. This amount should be more than enough to last a lifetime for any monument, even those with a full size laser etched scene. PLEASE BE SURE TO ORDER THE WHITE INK! ADDING ANY OTHER COLOR WILL RUIN THE LASER ETCHING UNTIL IT FADES AWAY AFTER SEVERAL YEARS. Question Of The Week: Why Is The Laser Etched Image On My Monument Fading? Over the years, we have received many a panicked telephone calls from clients, advising us that the laser etching was disappearing off of the monument they purchased from us. Much to their relief, this is never the case. In reality, what is happening is that the highlight which is added to every laser etching prior to the monuments being shipped out or installed into a local cemetery, needs to be refreshed. This is an extremely easy thing to do and we recommend that you refresh your highlight once every 5-10 years depending upon the effect your local climate has on the highlight’s longevity. In areas such as the state of Washington, where it is extremely rainy and wet, or the state of Florida, where it is humid, with frequent downpours, you will most likely need to refresh the highlight every 5 years. In areas such as Arizona and Texas, where the climate is dry, you will probably notice that you need not worry about the highlight except once every 10 years. In any case, no matter where you live, we recommend that you purchase a bottle of highlight as soon as you have purchased a laser etched monument. Here at Mike’s Laser Etching, we use Speedball Oil-Based Block Printing Ink as our highlight. It is very important that you be sure that you purchase pure white ink. If you choose to purchase the Speedball brand, the color number you should order is 3553. When you see that your highlight needs refreshed, you will want to clean off the monument with Windex first. Once you are sure the monument is free of dirt and grass, place several small dots of the ink on the area of the laser etching. You will notice that a little goes a long way when it comes to the highlight. For a 24″ x 12″ Flush Marker with a full laser etched scene, it will take no more than a nickel size dot of ink to cover the full laser etching. Once you have the ink on the stone, use an old washcloth to begin rubbing the highlight into the etched areas in small circular motions. You will immediately see a difference in the brightness of your laser etching. Once all of the laser etchings have been covered, use the washcloth to wipe the excess ink off, After you have removed all of the excess, throw away the washcloths. DO NOT ATTEMPT TO WASH THE INK OUT OF THE WASHCLOTHS. So long as you follow this instructions and keep your highlight fresh, you will be able to enjoy the laser etched monument for years and years to come. Generations through the years will be able to appreciate the beautiful and unique monument you designed for your loved one(s) and that is our goal here at Mike’s Laser Etching/Sartin Memorials. 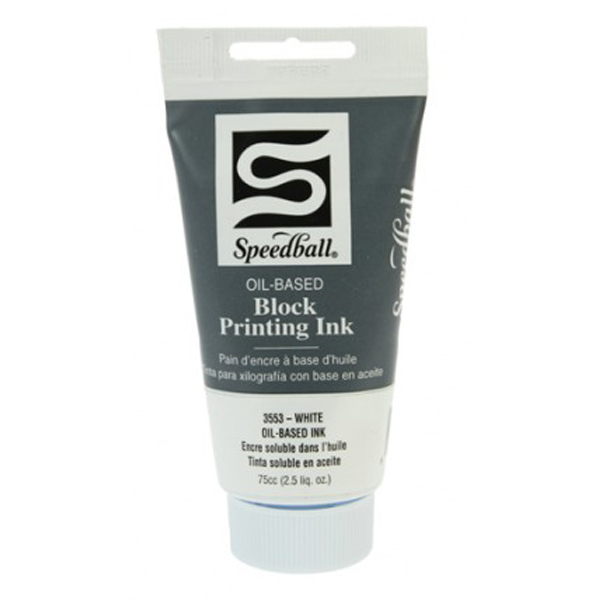 Since publishing this blog, I have received many emails and messages asking where to purchase the Speedball Oil Based Block Printing Ink. Click the below link to visit the blog with this inforamtion.